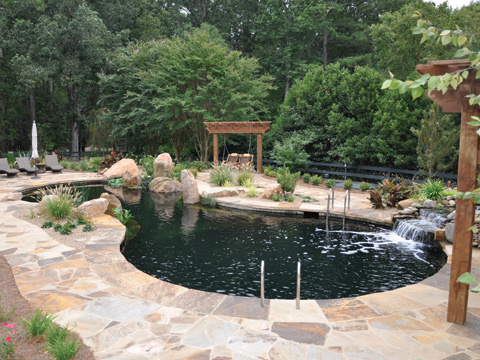 This is a Natural Swimming Pool recently completed by the Clearwater Company. 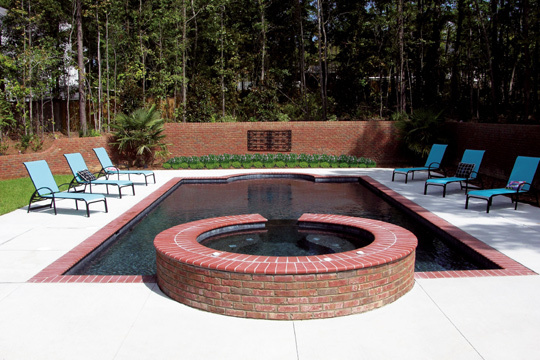 We believe it is the first of its kind in South Carolina and possibly in the Southeast. 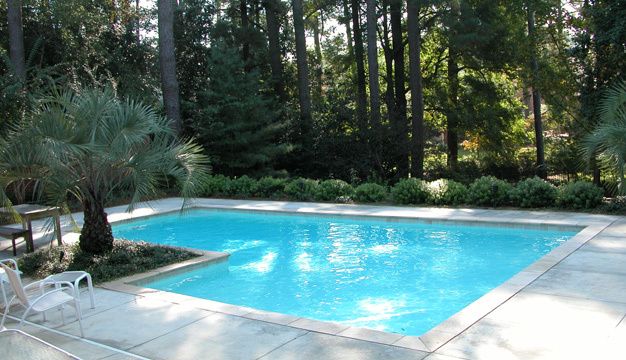 It is a swimming pool that is made to look like a natural pond, and no chemicals (such as chlorine) are used to keep the water safe for swimmers. 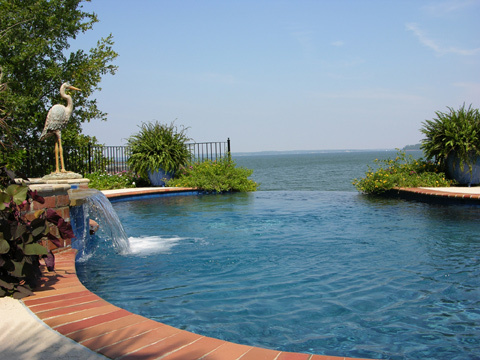 The water quality is maintained by a combination of plant life and keeping the water moving to aerate it. 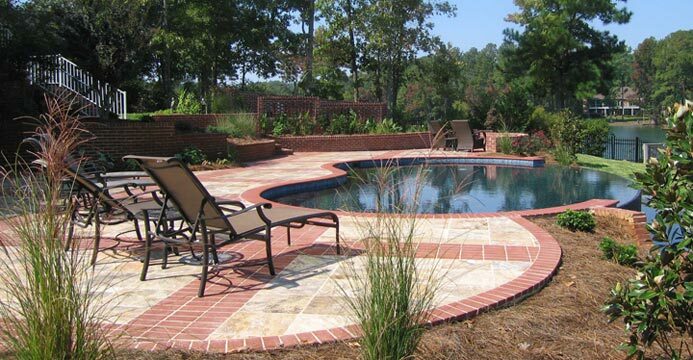 The beautiful landscaping was done by Lexington Lawns & Landscaping. Reference P-21.